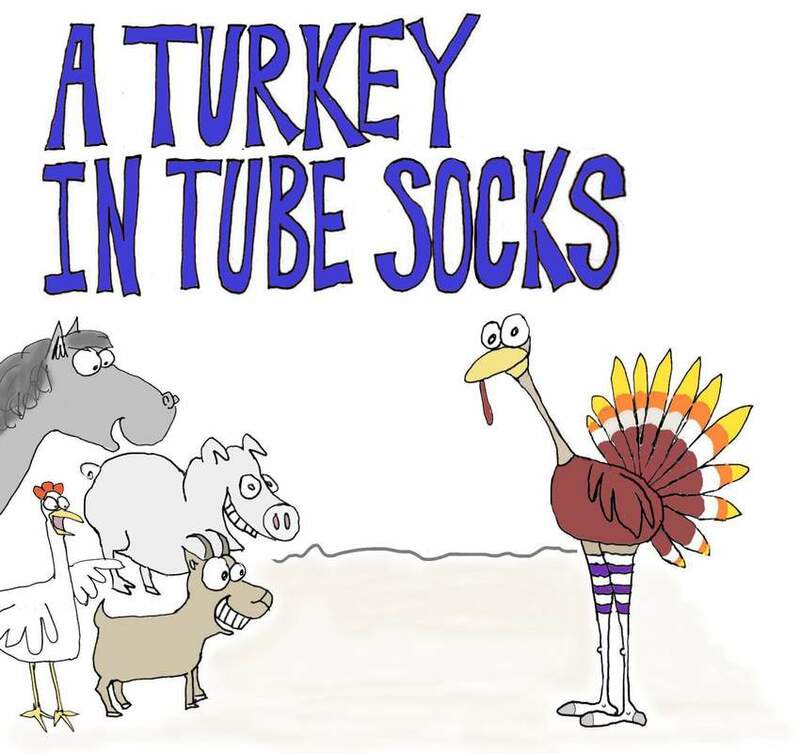 A Turkey and Tube Sock Sensation! Pristine white double-stitched cotton tube socks complete with bright purple stripes are hard to miss. 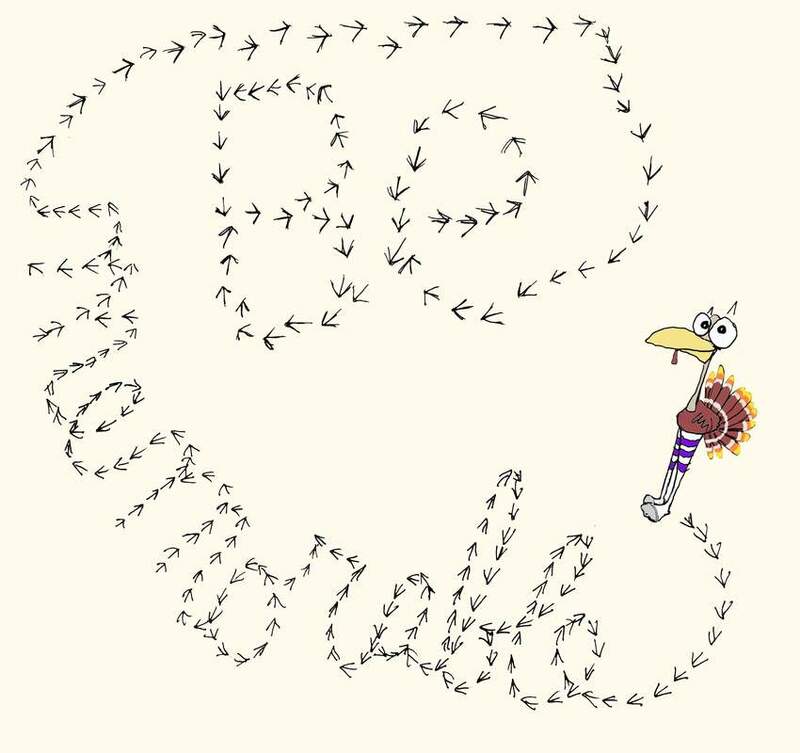 So, what were they doing on the legs of a turkey? 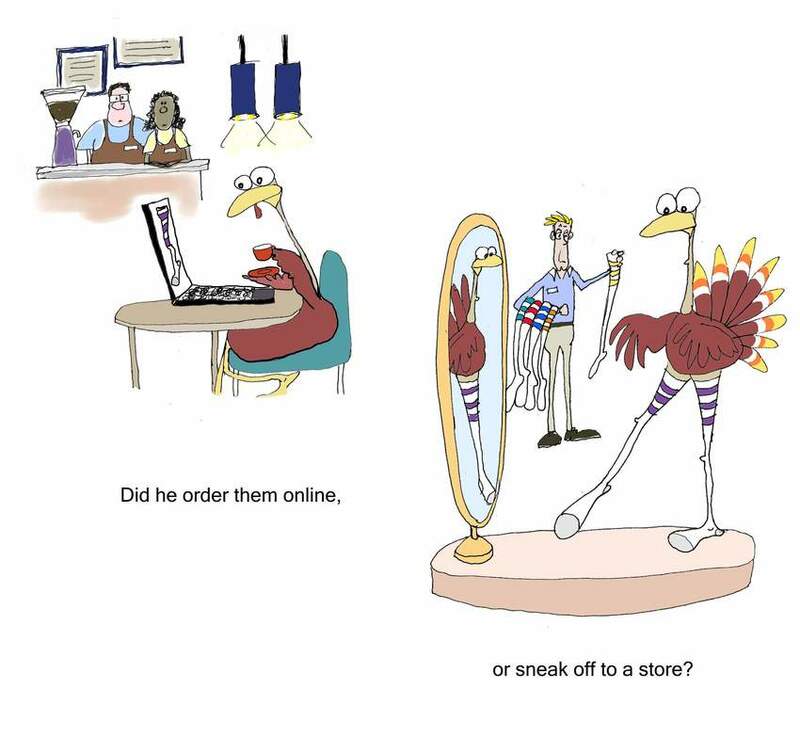 It’s a question that baffled a barnyard when a turkey appeared one morning donning the colorful leg wear. 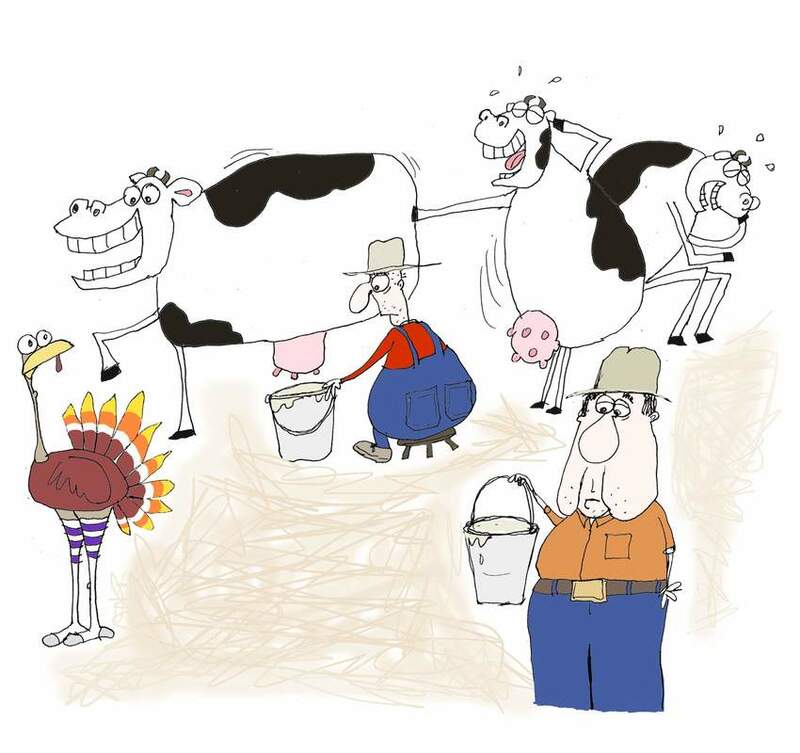 Stares and laughter erupted from the other animals and the farmhands. 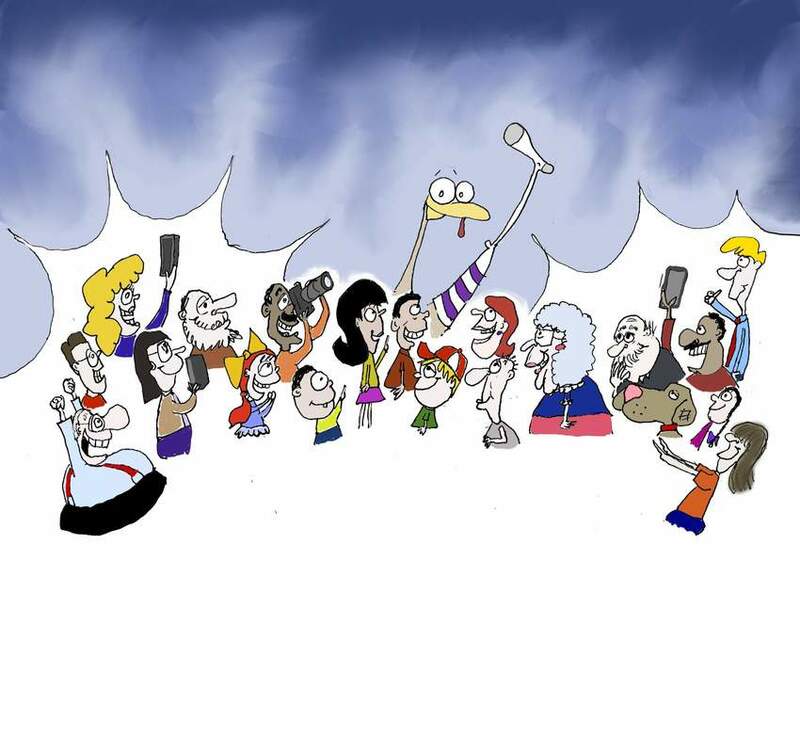 The word spread across the community attracting neighbors, reporters, and even school field trips that stop by to gawk. 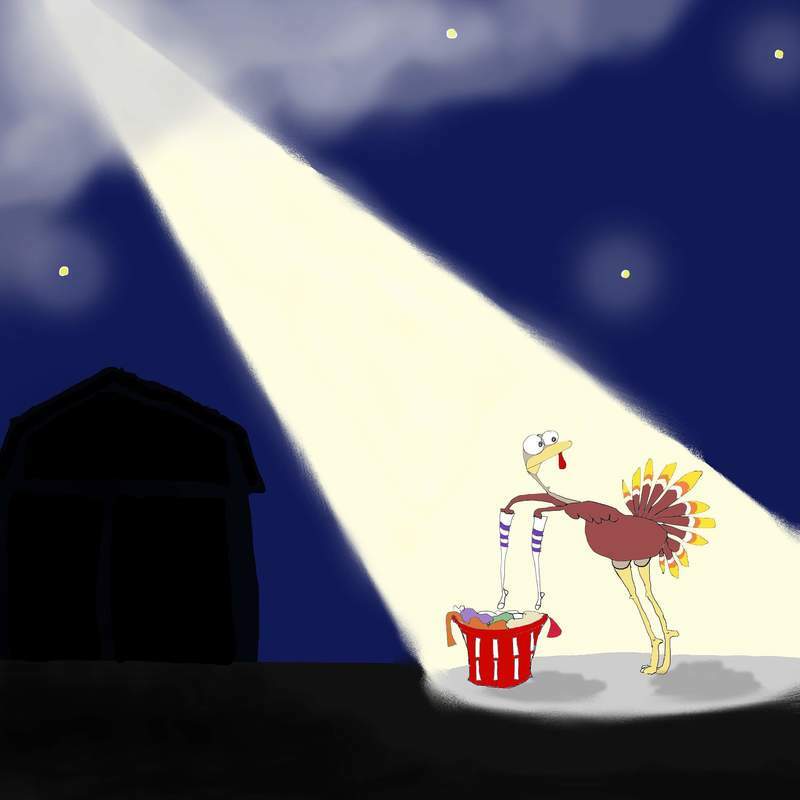 The turkey gobbled up the attention, as he and his tube socks went viral. 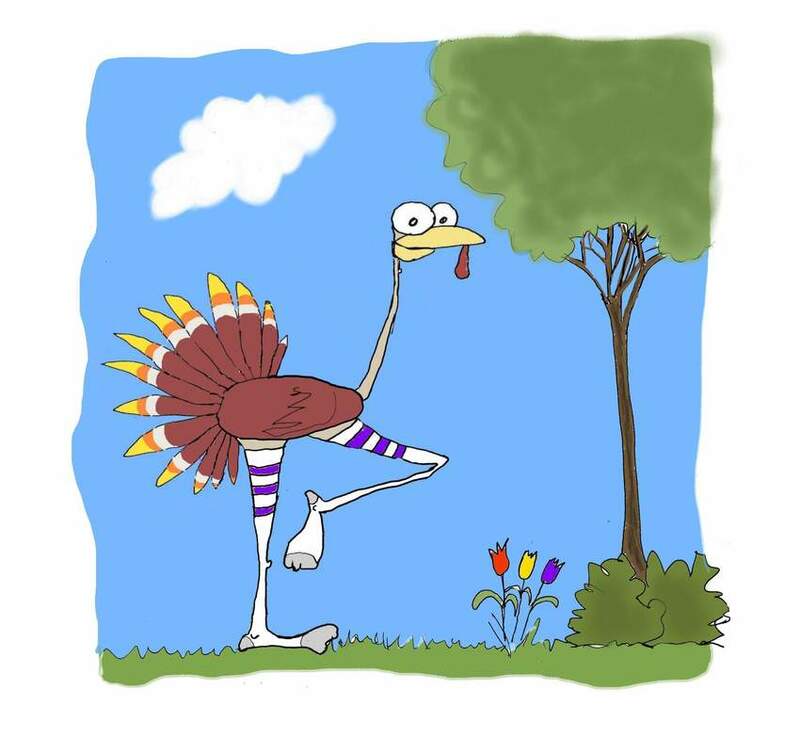 What no one realized then was that the silly tube socks played a vital role in the turkey's plan to charm his way out of ever becoming Sunday dinner. 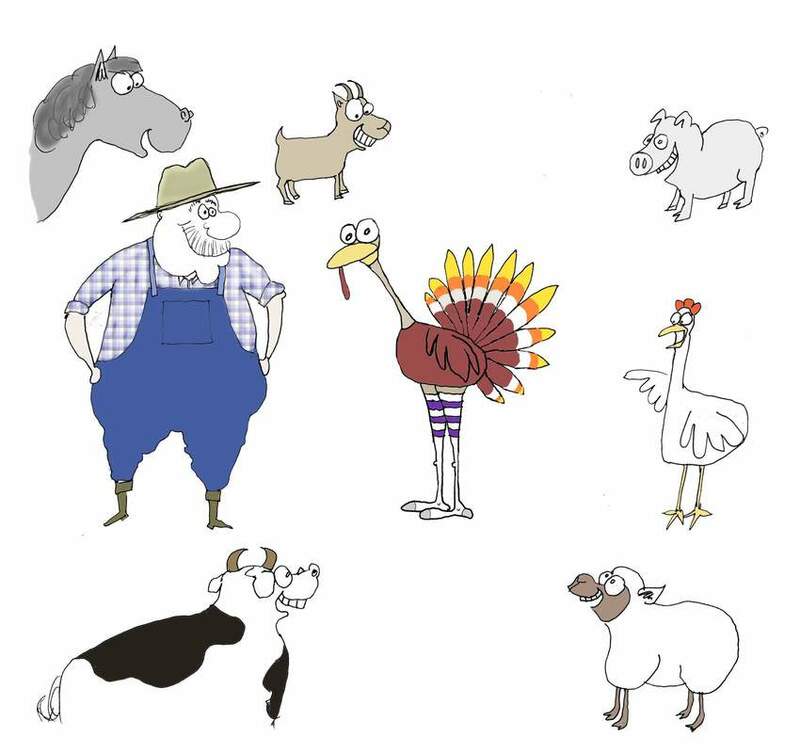 It’s not until summer turned to fall, when the farm animals learned the turkey’s motivation for wearing the tube socks. And the animals were quick to follow suit to ensure their own survival. 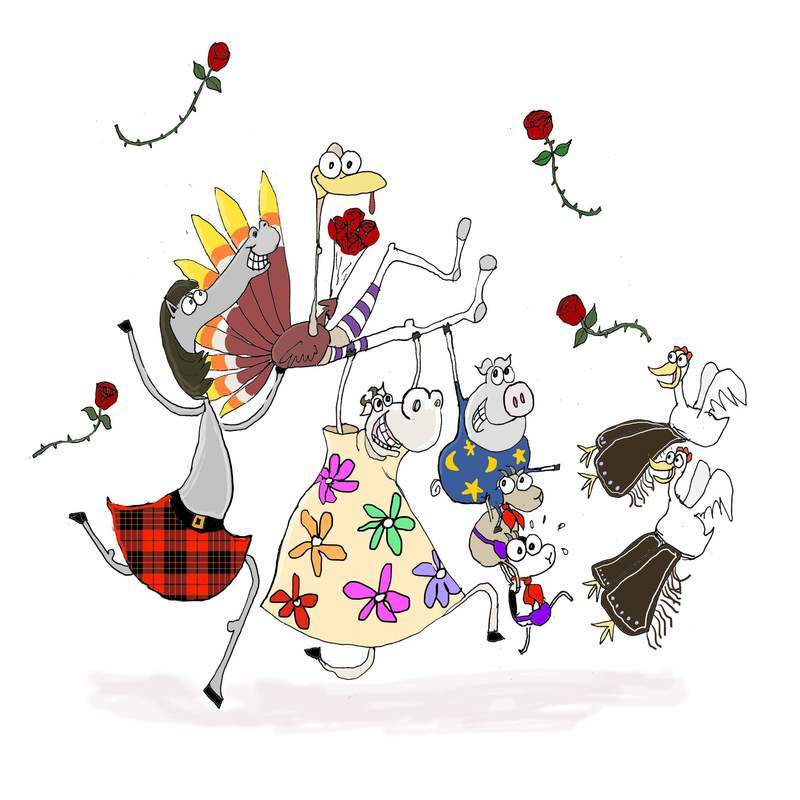 From the sheep, to the pigs, to the goats, each animal stepped out, clad in their own outrageous clothing article, turning the farm into a fashion show. 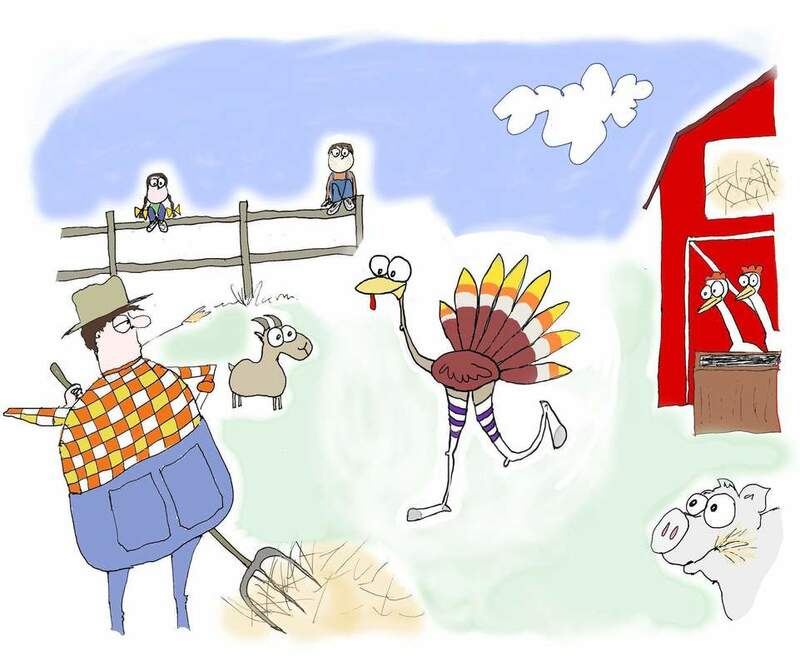 Former TV reporter turned best-selling author and illustrator, Ryan Nusbickel brings you the hilarious story about how A Turkey in Tube Socks has one farming community seeing purple and white. Ryan Nusbickel is a former TV news reporter, who somehow managed to win an Emmy, despite spending way too much time drawing cartoons in the news van. As an award-winning feature reporter, Ryan covered everything from hurricanes to Super Bowls. After hanging up his microphone, Ryan has since written and illustrated five best-selling St. Louis children's books, including My Pet Arch, "Who Moved My Gooey Buttercake?! ", The St. Louis Night Before Christmas, Cloudy With a Chance of Toasted Rav, and The St. Louis 12 Days of Christmas. The books have sold over 16,000 copies, and for five straight years, they have held the title of the #1 holiday best-seller, according to The St. Louis Post-Dispatch. 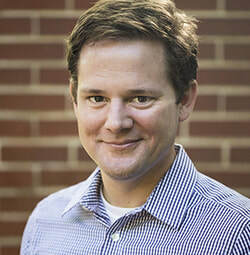 A graduate of Wake Forest University and Syracuse University, Ryan and his books have been featured in numerous television, radio, and print journalism stories, including KMOV (CBS), KSDK (NBC), KTVI (FOX), Wake Forest University Magazine, The Riverfront Times, Feast Magazine, and St. Louis Family Magazine. Ryan lives in St Louis with his wife and two daughters. You can reach him at ryan@nusbickelbooks.com.